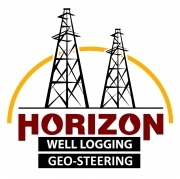 Horizon Well Logging is the premier mud logging and geosteering firm supporting natural gas and oil exploration companies from the mid-continent to the Appalachia region and beyond. Since 1988 we have provided our customers with outstanding service, deep experience and cutting edge technology as they drilled over 5,000 wells across the U.S.
Quality - Horizon has a formal quality assurance program to ensure we meet our customers' requirements, needs and expectations. Our defined business processes, extensive training and supervision, and independent quality control inspections ensure we deliver accurate, timely information every time. Technology - Horizon is the most innovative field geology provider in the nation. We use state of the art equipment, all of our wellsite data is available on the Internet 24x7 and our mobile applications allow you to get real-time well information on your cell phone. Professionalism - We are a professional services firm hired to be Geology's eyes and ears in the field. Over 85 percent of our Loggers (160+ and growing) are degreed geologists. Our expertise in geology, communication, technology and operations is second to none. We invite you to browse our web site to find out more about us or send us an email at info@hzmud.com if you have any questions or comments. Whether you are working in the Anadarko, Arkoma, Granite Wash, Cana, Marcellus, Fayetteville, Eagle Ford, Bakken, Niobrara, Permian or Haynesville, Horizon's highly professional workforce, state-of-the-art technology and dedication to customer service are focused on meeting your requirements, needs and expectations on every well.